We absorb heavy metals from air, water, food, skincare products, mercury fillings in teeth, etc. These chemicals lodge in the fatty tissues of the body, which, in turn, give off toxic gases that may cause allergic symptoms. Cleansing the body of heavy metals is extremely important to have a healthy immune function, especially if one has amalgam fillings. Drink at least 64 ounces of distilled water daily to flush toxins and chemicals out of the body. Essential oils have the ability to support the body’s natural balance – even down to the cellular level. Below you’ll see oils and nutritionals recommended to take a look at that are known to support the body in its natural detoxing process. You may apply single oils or blends neat or diluted, depending on the oil or oils being used. Dilute with carrier oil such as coconut oil, or extra virgin olive oil. -Massage 2-3 drops neat (undiluted) onto the bottoms of the feet and on the inside of the wrists 2-3 times daily. -Look up the specific action of these oils and decide what best targets your desired results. Only ingest Vitality (YL’s white labeled bottle) oils. -The amount of oil ingested varies with different oils. Whether putting the oils in a capsule of drinking them in a liquid. Aluminum is a very toxic metal that can cause serious neurological damage in the human body—even in minute amounts. Aluminum has been implicated as a possible cause of many maladies in the body, especially Alzheimer’s disease. People unwittingly ingest aluminum from their cookware, beverage cans, antacids, and even deodorants and other cosmetic compounds. The first step toward reducing aluminum toxicity in the body is to avoid these types of aluminum-based products. Start reading the labels and see for yourself. -Diffuse your choice of oils for a half hour every 4-6 hours or as desired. 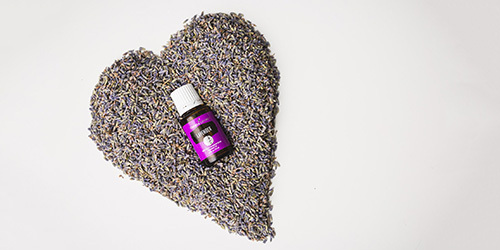 -Put 2-3 drops of your chosen oil in your hands and rub them together, cup your hands over your nose, and inhale throughout the day as needed. -Put 8-10 drops of oil on a cotton ball or tissue and put it in the air vent in your house, vehicle, hotel room, etc. When there are fewer toxins in the blood, it is easier for the blood to function properly and to continually carry the needed nutrients throughout the body and the digested waste and toxins out of the body, which is the key for staying healthy and being able to fight disease and expel chemicals and other pollutants. Single Essential Oils: Helichrysum, Goldenrod, Geranium, German Chamomile, Clove, Idaho Balsam Fir, Mountain Savory. MSM (found in Sulfurzyme) purifies the body and blood. Contact us to learn more information for proper use. Yes, there’s quite a few things that are available to help support your body, naturally! That’s great, right? Every body is different. However, the basic processes of them are very much the same. Elimination is KEY with detoxing – because where is it going to go if the body can’t get rid of it? Yes, the very thing we’ve been told to use to make ourselves stop the body’s natural process of elimination through the skin. When the body cannot eliminate toxins through the bowels, urine, or lungs, it eliminates through the lymphatic system and the skin. When the skin is blocked with anti-perspirants, the body is forced to trap those toxins in, as well as adding the toxins (aluminum) associated with the anti-perspirant effect. Essential oils and the AromaGuard deodorants are wonderful alternatives to smelling good while allowing your body to detox optimally. Avoid unnecessary use of prescription drugs. Even over-the-counter pain relievers can have toxic effects on the liver in moderately high doses. Consume a diet high in selenium found in plant food, Brazil nuts, tuna, meat, eggs, etc. Selenium helps proteins make important antioxidant enzymes that prevent cellular damage from free radicals. Avoid mixing pharmaceutical drugs, especially with alcohol. Avoid exposure to industrial chemicals whenever possible. Eat a healthy diet of vegetables and fruits; fruits are naturally cleansing. Nutritionals: Detoxzyme, Essentialzyme, and Ningxia wolfberry, which is widely used in China as a liver tonic and detoxifier. Hopefully from reading this article you were able to find some things that aligned with what you’re needing support with. If you found yourself with a list of things to get, let’s talk through the best options for you to get your products into your hands. When viewing the prices, there’s a wholesale and retail price. WHOLESALE is what we recommend everyone to get because that’s how you’ll automatically save 24% off your order plus on any future orders. 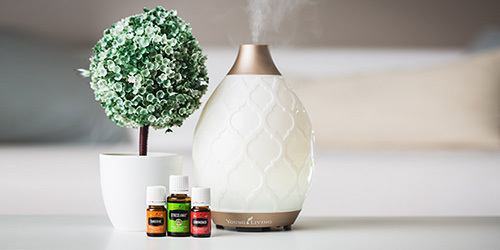 There are several Premium Starter Kits to choose from when you’re ready to order as a wholesale member, and the kits come fully-loaded with goodies to help enhance your life. Once you have selected your Kit, you are able to add on other products that are not included in your selected starter kit. To get the most for your money, select your Premium Starter Kit, and add your additional products onto your first Essential Rewards order to get an additional 10% back. Be sure the sponsor and enroller boxes are filled out with member number 1331983 for our Team education and support along your wellness journey. 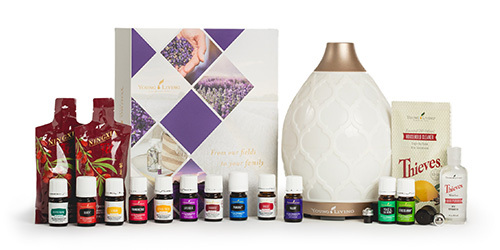 Get more wellness info and coaching when you become a member with the purchase of any Young Living Premium Starter Kit with the Revolutionary Wellness Team. Compiled information from these sources: Essential Oils Desk Reference, Seventh Edition; Life Science Publishers. Disclaimer: We are not intending to diagnose, treat, or suggest a cure for any disease. This information is for educational purposes only.